What is bartender certification? Being a certified bartender means that you have completed at least 40 hours of classes in a professional bartending program, with proof in the form of a bartending license. So long as he or she is at least 18 years old, the state of New York does not require a bartender to be certified and have a bartending license. However, a certified bartender does have a leg-up on a non-certified bartender when it comes to competition. Employers know that certified bartenders have a wealth of drink knowledge and industry-specific training that even an experienced bartender may not have. If you want to work as a bartender in NYC, consider enrolling in bartender training courses to build your knowledge base and give you an edge. Having a bartending license to show that you’ve undergone proper bartending education gives you an edge over the competition when applying for jobs. Many employers will only hire certified bartenders, even if it’s not legally required. Classes provide a pressure-free place to practice making a variety of drinks (without worrying about upset customers). You’ll learn to make a large variety of drinks, both standard and trendy. Instructors provide expert bartending advice and are available to answer questions so that you don’t have to learn by error on the job. With the proper knowledge of drink recipes and an understanding how various alcohols and ingredients work together, you can quickly become a customer favorite (which could mean more tips!). Your training can be an asset to bar owners in that you can help improve the skills and knowledge of coworkers who have not taken classes. If you combine certification training with part-time experience working in a bar, you can cover both aspects and make yourself a highly desirable candidate for jobs, freelance gigs, etc. Having a bartending license makes it easier for you to move or work events in other states where certification is legally required. At ABC Training Center in New York City, we offer convenient, affordable bartending classes to help you get the certification you need to take your career to the next level. With morning, evening, and weekend class options, we make it easy to fit your bartender education into your busy schedule. At only $199 in total tuition, our students receive the best possible value. 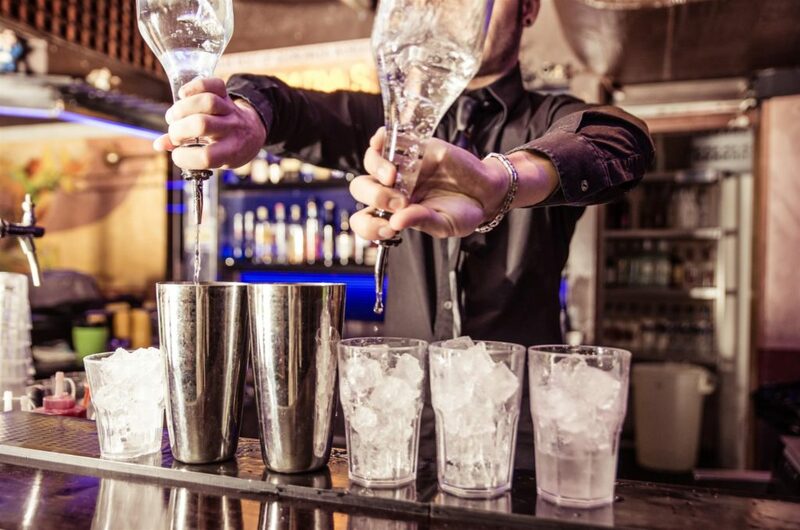 With 40 hours of hands-on bartending coursework, top-notch facilities, and expert instructors, you’ll learn all there is to know about mixing drinks, handling money, and dealing with patrons. You’ll also have the unique opportunity to practice in the real world at real bars, as well as take advantage of our informative job search seminar. Whether you’ve been working in bars for decades or have never made a drink in your life, ABC Training Center’s bartending classes offer the most up-to-date information in the industry to help you gain valuable skills and stay competitive in your career. To get started toward your bartending license, contact us today at (718) 618-5589!